When we talk about Industrial Internet of Things (IIoT), it is all about the innovative and creative way of by which all machines and other devices are connected to the internet. IIoT takes into regards the machinery and equipment’s of an industry that are enabled to connect and communicate with each other over a network (say internet) without any human intervention. This technology is helping to boost the productivity as organization is facilitated with filtered analytical report via various software’s that analyses large raw data and filters it to generate relevant result report. IIoT not only connects machines with human beings but it also connects one machine with another resulting in higher efficiency and productivity. It has also strengthened the security related to the operations in an industry. 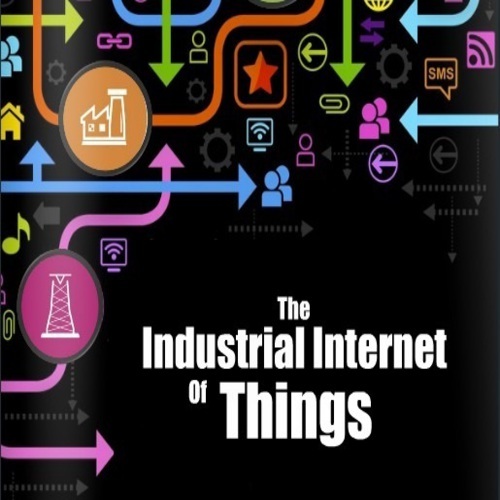 Industrial Internet of Things (IIoT) has a wider scope of function in areas of automotive, oil refinery’s and other manufacturing plant units or industry. Even when you hear or talk about smart cities, there is a major role of Industrial Internet of Things (IIoT) to make it possible. Shell Global – It is one of the leading energy & Petrochemicals Company having its operations globally in 70 countries and territories with approx 87000 workforce. Shell has named its digital oilfield as smart fields. Digital Oilfields – Digital Oilfields or we can say Smart Fields as Shell calls it refers to the oil mining process where Cisco company have built an fully automated infrastructure and production process is carried out with technology like high end sensors, knowledge management, high end analytical tools . , real time management and integrating automation with resulting in higher productivity at lower operating cost. Accenture – It is world’s leading company that provides management consultancy, technology and outsourcing services. Accenture has its operations in around 200 cities across 56 countries with 323,000 dedicated workforce working for the organization. Accenture helps other organization to analyse their business scope, strength and weakness and figure out how they can optimize their performance and work along with them to achieve their objective by developing and implementing advanced technology ideal for their clients to boost productivity and efficiency. Digital Industry 4.0 – Accenture has its Research & Development team (R & D) is working on plan of Digital Industry 4.0. The main aim of this project is to connect all the process and machines in manufacturing plant to each other along with the capabilities of workforce working there to create a digital value chain. You can easily understand the concept of Digital Industry 4.0 easily if you can imagine a situation where a business model can gain higher productivity and efficiency via use of sensors, connectivity and artificial intelligent laced machines and equipment’s that also enhances security in operations. Echelon – Echelon is one of leading company in the segment of Internet of Things. The company was founded in 1988 by Mike Markkula, who also have experience of working with Apple as an employee. The company was founded with its vision of “creating a network of everyday devices”. The company have visualized the wider scope of growth emerging in Industrial Internet of Things (IIoT) and thus have worked to grab the opportunity by developing and launching the IzoT™ platform where they have introduced FT 6050 System on a chip. IzoT™ enabled FT 6050 chip – The company have launched IzoT™ enabled FT 6050 chip so that the existing and new industries can be benefitted in terms of cost effectiveness and higher productivity to grab the opportunity of flourishing market of Industrial Internet of Things (IIoT). The software is compatible with major installations of legacy devices and is designed in such a way that it facilitates an enhanced alternative to wires as compared to that of either RS – 485 or Ethernet for purpose of industrial application that can be possibly benefitted from IP enablement. Join us on FACEBOOK or Maybe on Twitter.. You might be liking to join our forum too!